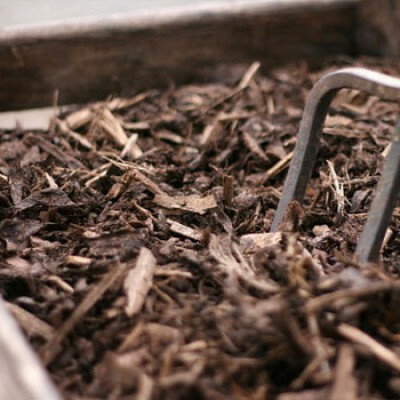 Provides a decorative natural looking mulch finish for beds. Great natural pathway material for gardens and allotments. Can also be used as a mulch under children's play equipment. Reduces weed growth and retains moisture in the soil. Mulch bark is made from the bark of Larch trees which is chipped into uniformly sized particles to act as a landscape mulch. Only dark barks are selected to ensure a rich and dark blended finish. Apply 50mm to 75mm on flat or sheltered areas and up to 100mm thick on uneven or exposed locations. Do not use a weed control membrane. The bark requires moisture from the bed to prevent it from drying out and blowing away. Prior to application spray weed killer or remove any weeds from the soil. Replenish bark annually to maintain the decorative natural looking finish and for effective weed suppression.